A car dealer in Derbyshire has been found guilty of drink driving after being caught the morning after a heavy night out. Lewis Phillip Edward Shaw of Slant Lane, Shirebrook was breathalysed by police and found to be over the legal limit due to the amount he drank the night before. 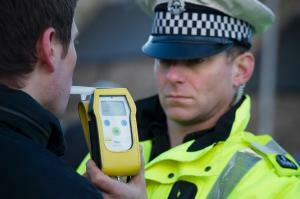 He measured 52mcgs of alcohol in 100mls of breath, where 35mcgs is the legal limit, and pleaded guilty to the offence. Mr Shaw works as a car dealer and as part of this role he regularly takes customers out for test drives in the company's cars. To do so requires a road risks insurance policy, which will offer insurance protection when he is behind the wheel of the business' vehicles, however this will not be valid should he be over the legal drink drive limit. Moreover, Mr Shaw will not be able to be named on such a policy in light of his ban, making it difficult for him to perform his day-to-day tasks. According to the Derbyshire Times, Mr Shaw's lawyer explained that his marriage had recently broken down and his partner had left the marital home. He was not aware he was over the limit still that morning, but had drank heavily the night before because of the problems in his personal life. Magistrates fined Shaw £250, and ordered him to pay costs of £85 and a victim surcharge of £25. He was also disqualified for 12 months.